Sugarcane exploded onto the scene in early 2010 to rave reviews and appreciation from the ever growing Midtown scene. Last year’s recipient of Miami New Times Best New Restaurant, Sugarcane is the really cool kid in school that isn’t trying to be. Much like Dylan from Beverly Hills 90210 (circa 1992), this restaurant oozes swag and cool even when it’s not trying to. The restaurant boasts three different kitchens all offering tapas sized dishes mostly under $13.00 a piece. I’ve recently become a big fan of their Happy Hour specials, especially since this place is located perfectly on my way home from hell, I mean work. On my most recent visit, I marched straight to the bar and grabbed myself a stool. The bartenders are all way too attractive for their own good, but are friendly none the less. Not too many people ever talk about the bar and eccentric drink selections at Sugarcane, their concoctions are definitely on the funky side. They have a knack for pairing obscure ingredients and making them work, for example their Spice of Love drinks which combines jalapeños, passion fruit puree and Svedka vodka. This time around, I settled on their Blackberry Toast; which is a mix of muddled blackberries, rosemary infused secret sauce and Jim Beam Kentucky Bourbon. 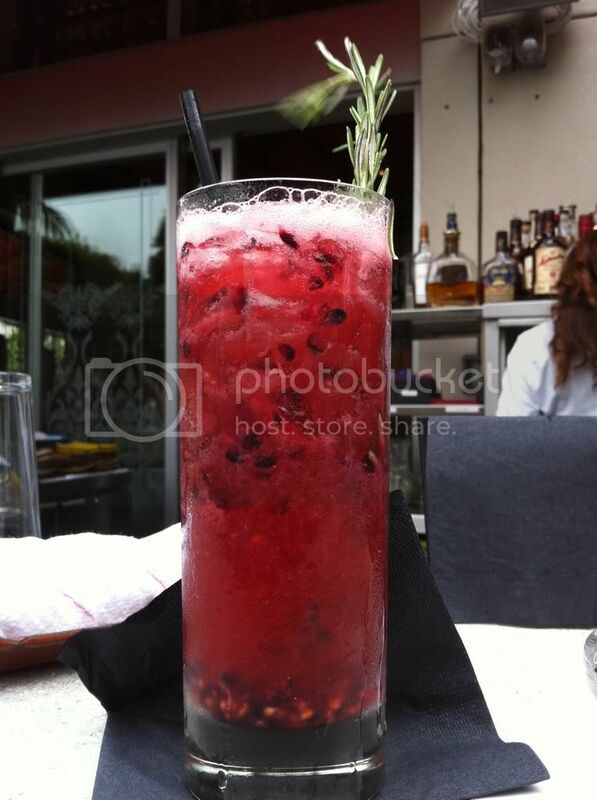 The rosemary and blackberries were really refreshing and just what I needed after the day I had; plus you can never really go wrong with Jim Beam. 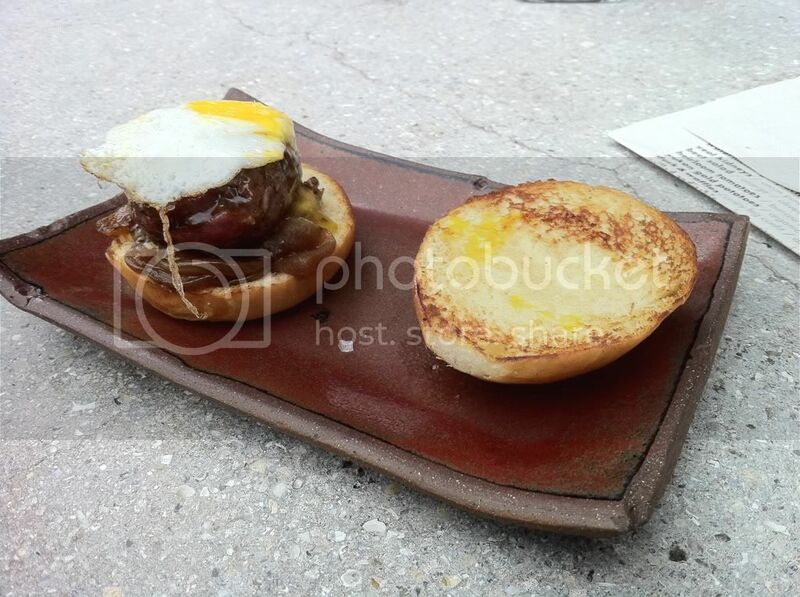 Then I decided to get a couple of things to eat, to start off I had their Kobe beef slider. 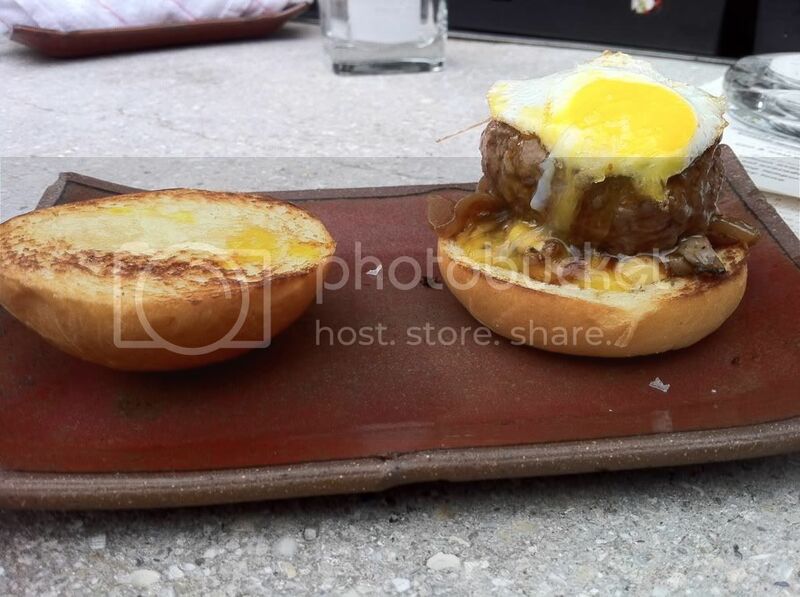 This little sucker comes with a fried quail egg on top and caramelized onions. The meat is cooked to order, but I always go with medium. The slider was really juicy and the caramelized onions melted like butter. If only they offered a slightly larger portion, so I could enjoy it in more than 3 bites. None the less, it was great. 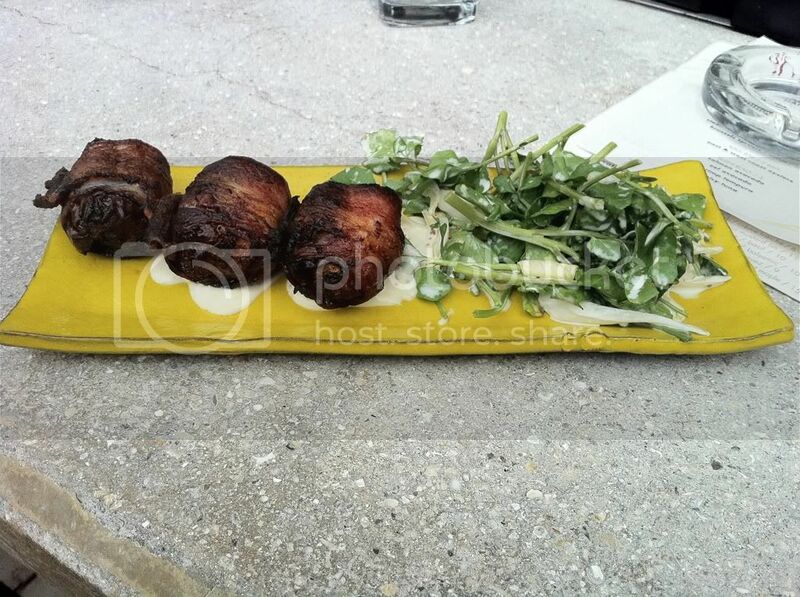 Next up, I went with their bacon wrapped dates, one of their most popular dishes. I've never been a fan of dates, but if you stuff anything with manchego cheese and then wrap it in bacon, I'll eat it. Although they look small, these three dates are actually kind of filling and meant to be shared. The dates bring sweetness to the dish that is perfectly cut in half by the Dijon mustard vinaigrette that is drizzled on the plate and over the small greens salad that accompanies the dates. 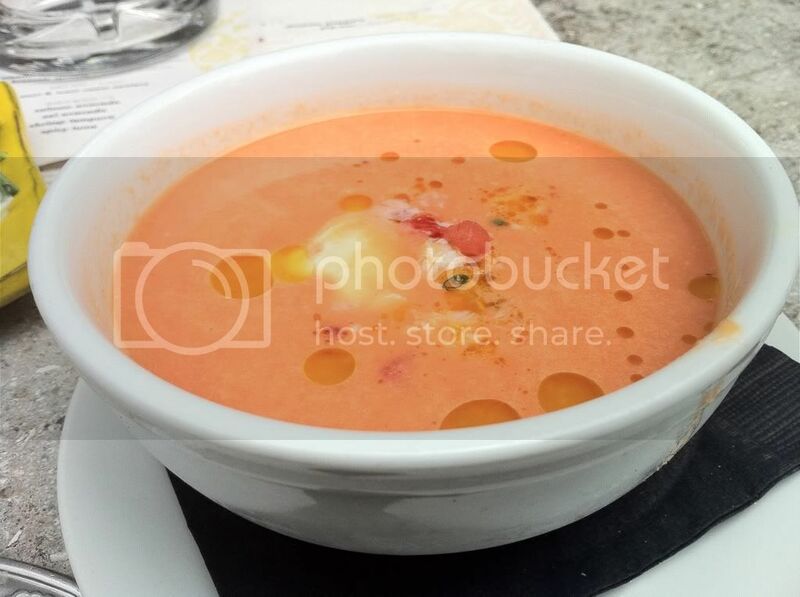 Up next, I decided to try one of their new menu items, their watermelon gazpacho. At first glance this dish looks very unique, almost like my Sunday morning hangover. Once you get past the appearance of this pink soup and blend in the crème fraiche, you’re left with a completely refreshing bowl of cool, creamy summer. There are tiny bits of lump crab that go surprisingly well with the bits of watermelon. The soup is chilled perfectly and is very creamy. Something to definitely try before the season is over and it is removed from their menu. As usual, this restaurant doesn’t disappoint. From the eclectic warmth in their interior design to the eccentric menu and drinks, this place is great for any adult occasion. From a hot date to Hump day happy hour, it’s a great gem in the Midtown area. Just be weary, although the dishes cost around $10-$13 a piece, your tab will easily jump as you keep trying new dishes and drinks.